After the wildlife veterinary team from Chhatbir arrived, more tranquiliser shots were administrated to the leopard. The big cat was finally trapped and taken to Chhatbir. The operation lasted 9.5 hours. Earlier, there was high drama in Lamba Pind area of Jalandhar city on Thursday when a leopard was spotted in a house. Subsequent attempts to capture the wild cat led to the animal attacking at least six people, though none was injured seriously. After the animal was spotted first by a villager, the police were informed. Subsequently, Forest Department officials also arrived, who used a tranquiliser gun twice to sedate the leopard. A net was also thrown on the animal. After waiting for a while, a forest official approached the animal, but to his surprise, the leopard jumped up and escaped. 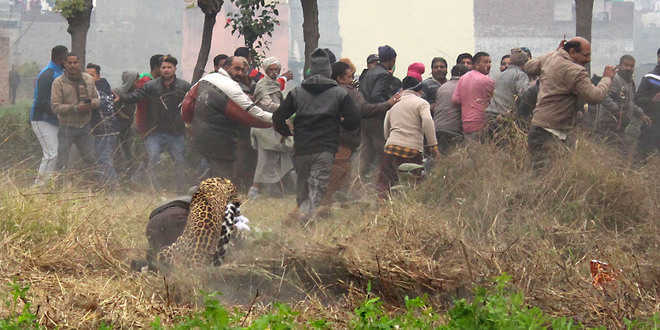 In panic, the leopard ran outside across a field, in the process attacking six people, including a forest official. It was spotted entering another house, and the forest officials were planning to administer a third dose of tranquiliser.Forest department teams of Jalandhar and Hoshirapur were engaged in efforts to capture the big cat. Another team is expected from Chandigarh. 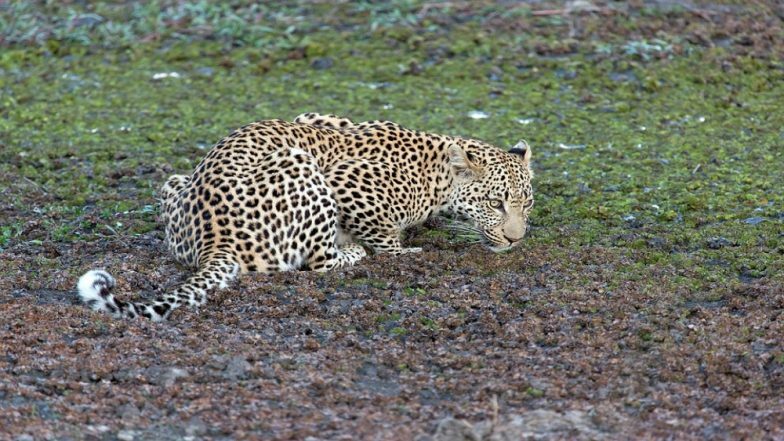 Principal Chief Conservator Forests Kuldeep Kumar said, “Most probably the leopard has strayed here from Punjab Shivaliks or from near rivers. Our staff has seen pugmarks of the animal near Beas too. We have tried to tranquilise the animal, which has now been cornered.“Dr MP Singh, Senior Veterinary Officer from Chhatbir, will soon reach the spot and see if more dose can be given. After rescuing him, we will examine if he has any injuries and needs care. We may keep him for some days, if required,” he added. He said there are 40-50 leopards in the Shivaliks and a few in the riverine area. Late in the evening, a wildlife veterinary team from Chhatbir arrived at the village. More tranquiliser shots were administrated to the leopard and it was finally trapped and taken to the Chhatbir zoo. The operation lasted for more than nine hours.